Product prices and availability are accurate as of 2019-04-19 14:58:18 UTC and are subject to change. Any price and availability information displayed on http://www.amazon.com/ at the time of purchase will apply to the purchase of this product. 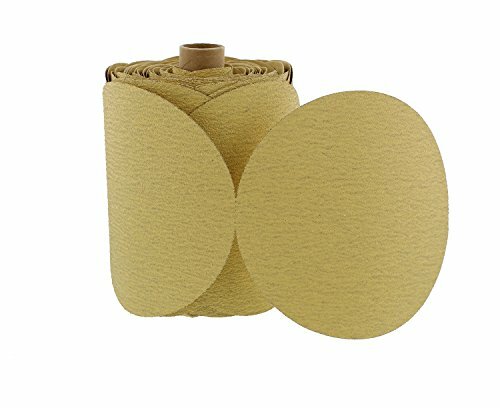 ABN 6" yellow sanding discs are preferred by working professionals and the weekend DIY-ers alike. It is manufactured to reduce clogging which makes it longer lasting and more efficient to use in both commercial and personal settings. It features an aluminum oxide grain coating with pressure sensitive adhesive PSA. Really easy to use, just tear and apply to a backup pad and begin sanding with your orbital sander. Comes in 100 piece roll. WARNING: This product can expose you to chemicals which is [are] known to the State of California to cause cancer and birth defects or other reproductive harm. For more information go to www.P65Warnings.ca.gov.